" I'm not sure if you've ever experienced this, but there have been times when I honestly have not been able to read or digest the Bible. I mean, there are times when I can kind of work my way through reading the Bible, but nothing is sticking"
Mike,I think this is a huge testimony....I'm sure so many people who joined the blog (like me)have been through this and from time to time still do.Yet studying together keeps us keeping on. I don't know why today it just hit me....For most people,courtship and marriage are a really beautiful period.The guy leaves his house with excitement to pick his intended up for a date...Yet for Jesus,it was different.Like we sometimes go through a painful treatment to get rid of a disease...he gave his earthly body to be tortured. That was I guess the courtship for Jesus..preparing to pay the price so we be clean,so we could have the relationship we have today with him. What is exciting is that Paul connects Gentiles together with Abraham in Galatians "And because of what Jesus Christ has done, the blessing that was promised to Abraham was taken to the Gentiles (you and me too)..." Gal 3:14 And then again in Galatians 4:29 that wonderful promise, "So if you belong to Christ, you are now part of Abraham's family, and you will be given what God has promised." Is that not exciting to be in the flow of history and connected to 'father Abraham', imperfect man that he was, but saved by the gospel (see Gal 3:6-9) He says, in Gal 3:8 'This means that everyone who has faith will share in the blessings that were given to Abraham because of his faith." Now if we are to imitate our forefather we are also called to be a 'blessing to all the families in the earth." What a great mission focus for us all!!! These verses stood out and looked like they complimented one another. “Listen to Me, you who follow after righteousness, you who seek the LORD: look to the rock from which you were hewn, and to the hole of the pit from which you were dug. “Look to Me” says the Lord. Break forth into joy, sing together, you waste places of Jerusalem! For the LORD has comforted His people, He has redeemed Jerusalem. Depart! Depart! 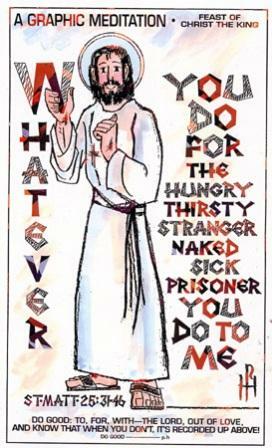 Go out from there, touch no unclean thing; go out from the midst of her, be clean, you who bear the vessels of the LORD. “The LORD has made bare His holy arm in the eyes of all the nations”. Christ is available for all to see. And where His Name is not heard, we are to pray and go so they may know that the Lord Jesus came, and died for them, and then raised and glorified as our substitute and representative. Jesus has completed salvation. May we partake of His Word, His Presence, and His Mercy every day! As we persistently do this, seeking God by His grace cleansing us so we have pure hearts, we will be different from the world. The Lord Jesus was given as a loving gift from the Father to live, die, raise from death, and ascend at the right hand of the Father— as our substitute and our representative. May we meditate on this and receive it into our beings by faith. May we drink daily of the Holy Spirit of Grace and Love. We love as we allow the Spirit within to lead us into loving God with all our hearts. Then, and only then, can we truly walk in the Love of Jesus to those around us. May we all seek to serve our wives, husbands, and families. May I, by Grace, be the husband God calls me to be so I can help my wife be the woman God calls her to be. In Jesus’ Name. 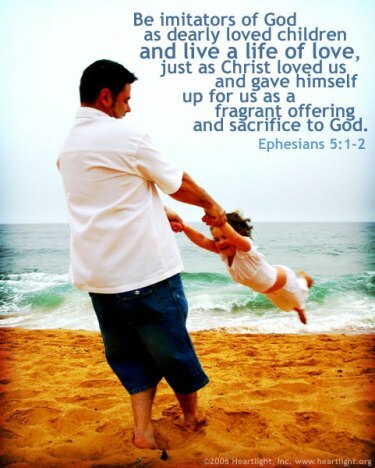 "1Be imitators of God, therefore, as dearly loved children 2and live a life of love, just as Christ loved us and gave himself up for us as a fragrant offering and sacrifice to God." This is not the pantheistic cry of 'god is everywhere - we are all gods". It says be imitators of God, be Godlike, or be Godly. There is only one true God encompassed in the Trinity, and we are to try and be like Him, that is take on His characteristics. How do we do that? First you have to accept and receive Christ - then you are children of God and co-heirs to heaven. Non-believers cannot be children of God - as John states later in Bible: If you do not believe - you are enemies of God. As children we need to understand our relationship with God. He is the Father and we are His children. Just like a toddler who really has no real power on their own versus their earthly father, we are to rely on tust in, and depend on the Father. To do what? In a loving relationship, the Father will raise us, mold us, teach us, discipline us, comfort us, etc. with the goal being to eventually conform us into the image of Christ. Just as the toddler has no real power to raise himself here on earth, the "baby" Christian has no real power to imitate God in our Christian walk. It is the job of the Father to change us, not ours. When we acknowledge that relationship with the Father, we can have a life of love. We can revel in the Father's love, and in turn He will provide the Spirit to guide our walk. We can love like Christ loved us, and like Christ and like Paul says in beginning of Rom 12, we can offer ourselves up to God as a living sacrifice, yielding to the Father and accessing the Holy spirit. That gives us the power by the richness of His grace to walk in the Spirit of love. "For of this you can be sure: No immoral, impure or greedy person—such a man is an idolater—has any inheritance in the kingdom of Christ and of God." Another one of those verses when taken alone some say means you can lose salvation. However, Paul is saying the same thing John does in later books of Bible, and the Greek verb tense is important. In the Present active indicative, "is an idolater—has any inheritance" is now and and in the future or "continually". If you are acting in these ways in a habitual, continual manner you are not a believer. you will not be in heaven. Look, Christians sin, we all fall short of the glory of God, but a true believer will not "habitually" commit the same sins over and over. Simply put, the Holy Spirit will not allow it - God will step in to the situation. If this is happening to you, and you are convicted - the solution is simple. Go to God, repent, admit you are a sinner, and with a "right heart" confess Jesus is your Lord and Savior, and submit your will to God. 10and find out what pleases the Lord...18b Instead, be filled with the Spirit. In summary, you must be in fellowship with the Father, acknowledging the Father-child role-yielding your will to His - then you will know what pleases the Lord because you will be filled with and accessing the Spirit. 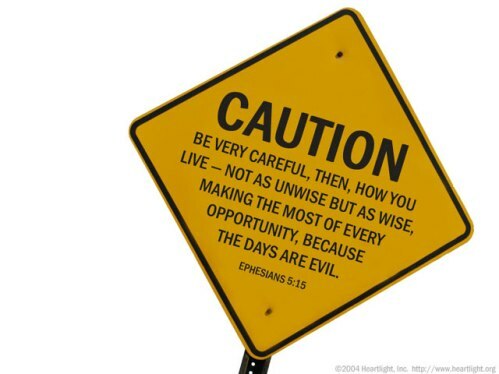 This is the only way to consistently walk the obediant path Paul exhorts believers to follow- it is God's way, and anything else is man-driven rooted in pride. One of those passages that sometimes sets people's teeth on edge. What do you mean I have to submit to my husband says the wife. Some professing Christian husbands use this to browbeat their wives over their home life. -love his wife, just as Christ loved the church and gave himself up for her. This is "agape love" - It is an unconditional love and concern for others. Agape is a love that accepts everyone for who they are. This is the same love that God expressed for us through the death of Jesus Christ, His Son (1 John 4:9,10). It is a selfless love. When you love your wife like that in a total selfless way that is not rooted in physical love - your wife will feel apreciated and totally loved. To be able to love yourself, you must be in fellowship with the Father, if not you will be in a bad place and find it very hard to love who you are at that time. In fellowship with the Father, you will be walking in love by the power of the Holy Spirit, and then you can love your wife as you love yourself. When a man is in this place and love his wife in a selfless way - then his relationship will not be about making the wife a servant, but someone much higher - an esteemed and loved partner in marriage. When a woman sees this she will respect her husband and recognize the roles God has ordained for them, and submitting will not be as much an issue as the two will be in agreement over marital issues and life - because they are one in Christ. "This is a profound mystery—but I am talking about Christ and the church." 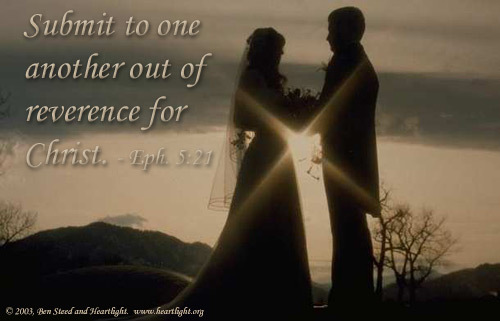 Paul is saying that it is not only two will become one flesh, as in physical union, but also spiritually in their submission to the Father's Will. And more importantly the marriage union ultimately is about Christ and the Church. That is the mystery - that Christ who loved us so much he gave himself up for us - will be joined with the Church in marriage and in recognition of the roles God has ordained - We submit to Christ. So the picture here is about earthly marriage, but the bigger picture here is about Christ and the Church's marriage. We know Christ loves us selflessly, and we respect Christ and submit to His authoritative role. Our earthly marriage should mirror and imitate Christ and His marriage to the Church. Jesus did not have classic beauty, nor that intangible majestic "look" of royalty. There was nothing about His appearance that drew men to Him - but it was his inner beauty and His Word that was from the Father. A relationship with Jesus would not be based on the superficial aspects of His looks - but on His message and His compelling inner self. 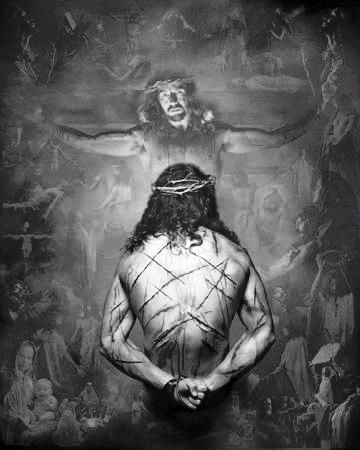 [Note: Some want to see Jesus as a macho well built kind of guy, others see Him as a winsome beautiful man (a lot of artists in paintings and drawings), but I believe there was nothing compelling about Jesus' physical appearance. 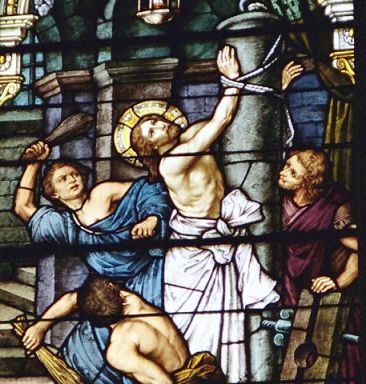 He was despised and reject by men, because there was no physical beauty to draw people to Him, and His message was one that the nation did not deem acceptable. 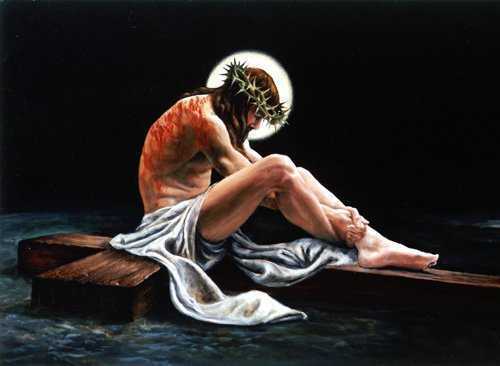 Jesus "a man of sorrows, and familiar with suffering". Jesus knew why He was on earth, and He did not look forward to the Cross (from His man perspective). Additionaly, I believe he suffered because he constantly experianced rejection to what He knew was the Truth that came from the Father. He came, and was not accepted - that had to hurt (again from His man perspective). 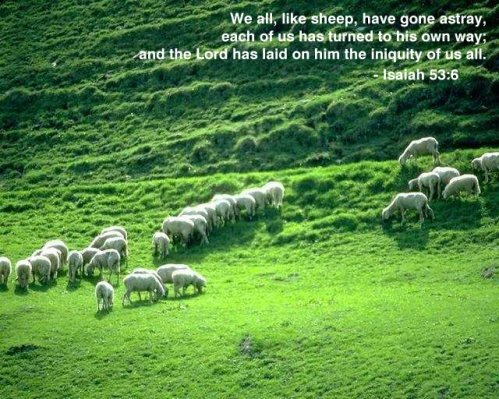 I agree, Isaiah 53 is not only perhaps the most powerful chapter in the Bible, but one of the most important. Its incredible to read...I have heard it read so many times during communion and have read it before, but its just sooo powerful each and every time! I can imagine when the disciples got their heads screwed back on after Jesus' resurrection, they must have read this and just been in awe! Each verse is soooo important and prophetic. It was ALL fulfilled! exactly!! Every T was crossed and i dotted. amazing amazing! I LOVE it!!! I like to memorize. Words come alive to me when I place them in my head in some kind of order. Things make better sense to me when, instead of just looking at words on paper and trying to concentrate on their meaning they are arranged in my head with meaning and "what's next" follows some logical thinking. 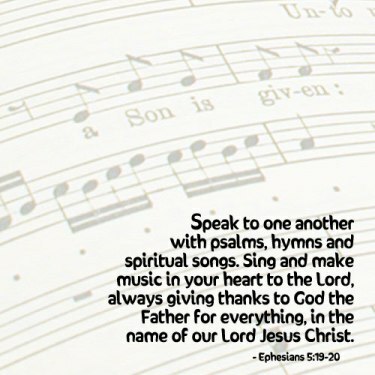 I am motivated by your pastor, Mike, and his memorization of the entire Book of Ephesians. Right now I have a part pending for dramatic stage that needs developed and refined so I'm not setting the entire Book of Ephesians as a goal. I will, however, start learning Ephesians 1 and see how that goes. I'll let you know.